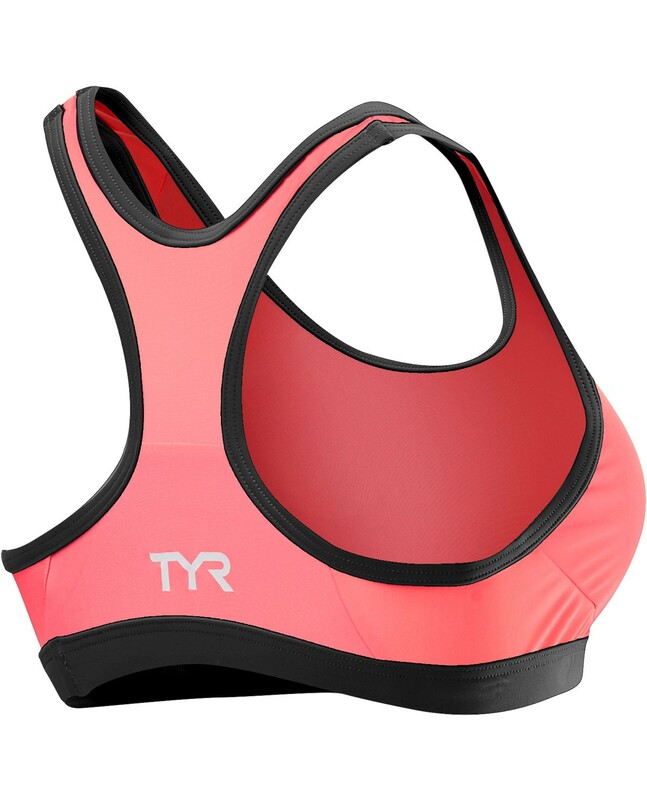 Dominate the disciplines in the TYR Women's Competitor Racerback Tri Bra. It's very hard to find TRI bras that actually fit me as I have very large breasts but a small chest. 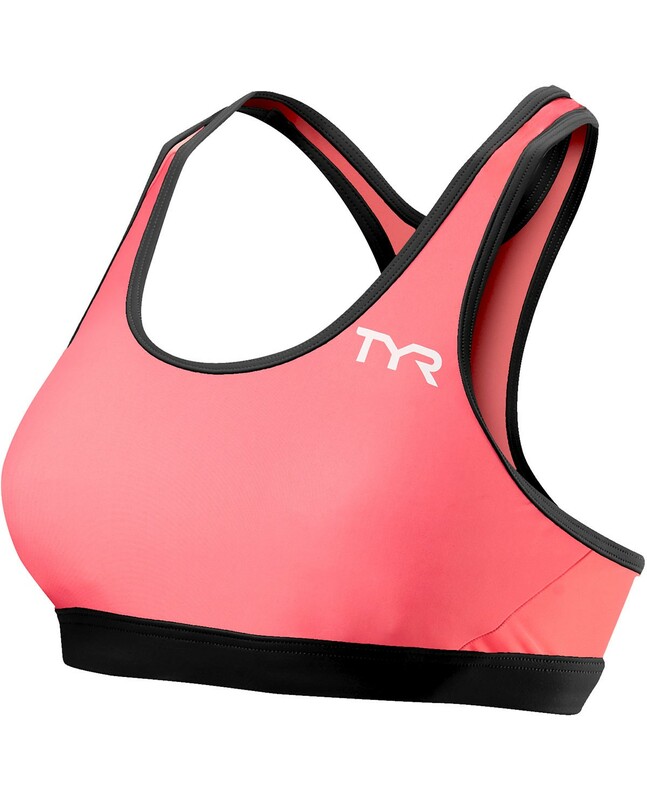 Wore this one this morning and I think I'll be able to do my upcoming Half Ironman with only one bra! I have tried for years to get a decent top for swimming and to wear under my wetsuit when kayaking. I have bought and returned many, because they are too flimsy, to much like underwear to wear as the top to a two-piece swimsuit, or are impossible to get on and off without assistance! This one is perfect! Checks out on all the requirements; looks good, no one will think I'm exposing my underwear, nice and sturdy, yet comfortable, and I can get it on and off by myself. 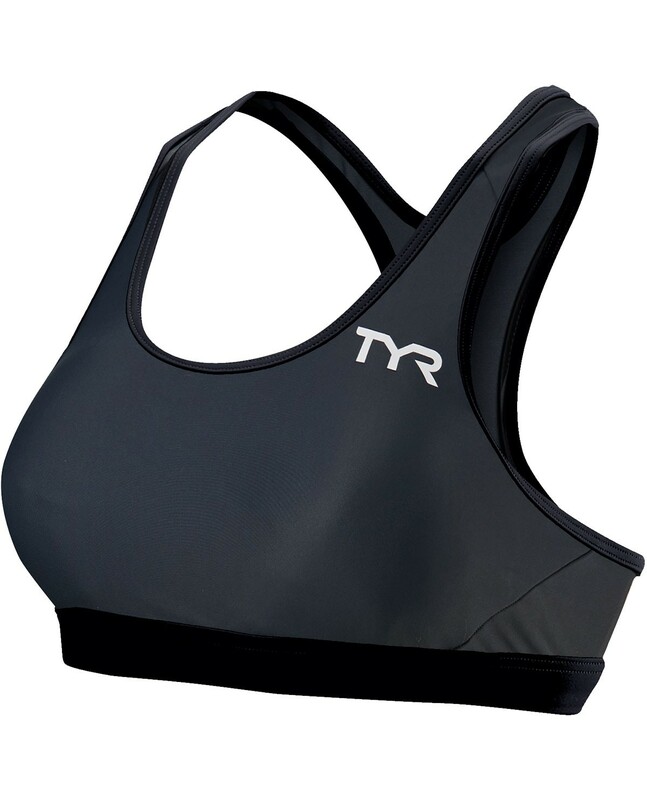 Great piece of gear for women triathletes! I just recently purchased this tri top and am very very satisfied. The bra fits perfectly, it doesn't give me any chafing issues and is a GREAT fit. I highly recommend this! I wish there was a little more support, but otherwise this top is great! There is great coverage, and not too booby.